As a restaurant critic, Tom Sietsema has to maintain a certain amount of mystery. That said, for someone who doesn’t share his face, it’s so nice to read what he shares about his life in this interview with Shulman. I’ve been reading Sietsema’s columns for 14 years, so it’s great to get a sense of the man behind the menu. I love Reichl’s food memoirs, especially Garlic and Sapphires where she wrote about her experience as a New York Times restaurant critic. Now she’s published her first novel, Delicious!, which unfortunately doesn’t get the kindest review from Garner. New York Times: “Red Velvet Cake: From Gimmick to American Classic,” by Kim Severson. Severson looks at how red velvet went from being merely a gimmicky cake to a food-inspired obsession. She quotes David Sax, whose new book on American food trends, The Tastemakers: Why We’re Crazy for Cupcakes but Fed Up With Fondue, sounds interesting. Washington Post: “Pennsylvania Dutch cuisine: The real deal,” by Tim Artz. Artz tackles the misunderstood subject of Pennsylvania Dutch cuisine, which many people (erroneously apparently) equate with Amish traditions, when it is really so much more (but not Dutch, since it's actually German-influenced). I know I'll have a slice of that shoofly pie. I discovered The Cooking Jar earlier this week during FoodieChat’s 3rd anniversary Twitter chat (check it out every Monday at 8 p.m. eastern with #FoodieChats—great way to talk food and meet interesting people) when a few of us got to talking about wanting good Asian recipes. Farah has a trove of beautiful ones, including her recent post on chicken satay, which is one of my favorite things to get in Thai restaurants, mostly because it’s a great excuse to eat peanut sauce. Wall Street Journal: “Pizzerias Seek Certification for Neapolitan Pizza, but Some Say It's Cheesy,” by Charles Passy. If you’ve eaten in enough “fancy” pizza places, you’ve probably come across a menu sporting VPN certification, a symbol that the restaurant has shelled some serious dough to be certified as offering “authentic” Neopolitan pizza. But is it worth it? I’ve often thought not, although it does represent an important attempt at preserving a classic recipe. And let’s give the headline writer kudos for a great pun. 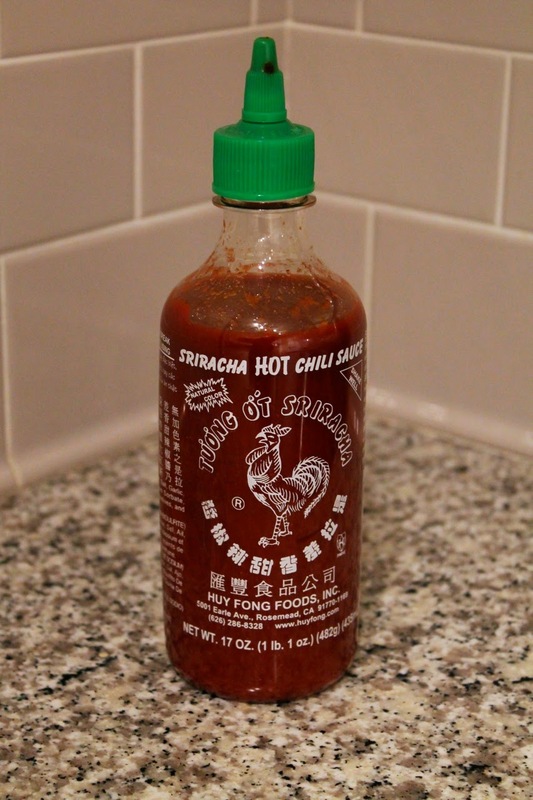 Eater National: “Take a Tour of the Sriracha Factory in California,” by Hillary Dixler. Eater tours the Huy Fong Foods Sriracha factory in Irwindale, California, the plant that drew all the bad press recently due to eye and through irritation among the locals. Looks like a pretty clean place. Glad to hear it’s up and running again. Reacting against the darker oaky tequilas, which this article indicates were created with Americans in mind (but have been very popular in Mexico too), blanco tequila is making a comeback as a truer way to taste the agave in tequila. Will you be making shoofly pie for your summer dessert contest at work? If not, will you be making it for me? !